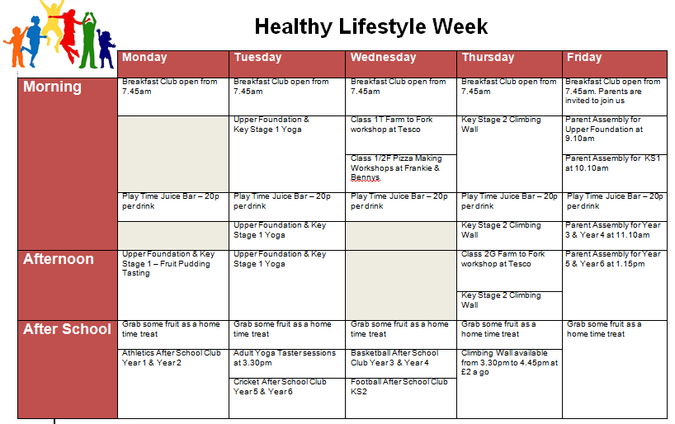 We've spent a lot of time pulling together a range of activities to support our Healthy Lifestyle Week. Find attached a copy of our timetable. We'd love to see parents, carers, family and friends getting involved ! See you next week.